The Green Monkey, who was the highest priced auctioned thoroughbred in history, has succumbed to complications relating to laminitis. The Green Monkey, who was bought by Coolmore Stud for $US16 million at auction in 2006 as a two-year-old, was euthanised in May at the age of 14. He died at the farm of Hartley/De Renzo Thoroughbreds in Ocala, Florida. In 2005 Randy Hartley and Dean De Renzo had bought The Green Monkey for $525,000 from Taylor Made Sales Agency at the Fasig-Tipton 2005 Kentucky Select Sale, and bought back a half-share in 20018 after the end of his injury-plagued racing career, where he earned $10,440. His best placing was a third in his maiden race at Belmont. The colt was given his name by Sue Magnier, Derrick Smith and Michael Tabor because of their connections with The Green Monkey golf course in Barbados, named after the island’s green monkeys. The colt was also foaled in the Chinese year of the green/wooden monkey. Hartley said The Green Monkey, by Forestry (Storm Cat), had been struggling for about four years, and foundered about 18 months ago. His owners had struggled since to get him back to health.” It just got to the point where it wasn’t the right thing to do,” he told the Paulick Report. “He was a once-in-a-lifetime horse,” Hartley said. He said the horse’s record price “was life-changing for us”. The Green Monkey has been buried at Hartley/De Renzo Thoroughbreds. Of his 28 registered foals, The Green Monkey had 22 runners and 16 winners. 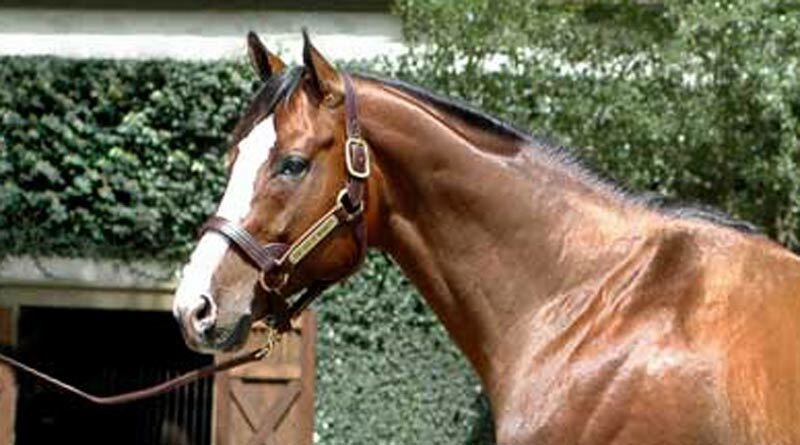 He was the sire of Puerto Rican champion Green Money. He is the grandsire of several successful runners by quarter horse stallions. He had stood at stud at a fee of $5000. He had some great names running through his veins, including Secretariat (via his grandson Storm Cat), Dr Fager, through Forestry’s damline, and Mr Prospector, through his son Fappiano, and his son Unbridled, the sire of The Green Monkey’s dam, Magical Masquerade.